The excellence that we demand from ourselves is facilitated and enhanced by abiding to all the current Health & Safety regulations and legislation. 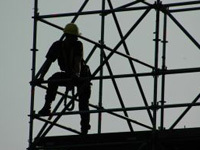 We fully comply with the Working at Height Regulations 2005 (Amended, 2007). 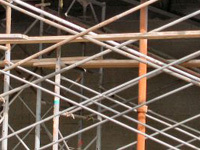 All facets of the latest statute are practised by all employees of Specialist Scaffolding Services Limited. In addition to the above legislation, all employees hold either the CISRS (Construction Industry Scaffolders Record Scheme) certificates, or CSCS (Construction Skills Certification Scheme) cards. Further training is also provided to the members of the workforce to help them develop and grow. 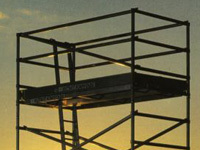 This could include training to use Mobile Elevated Work Platforms (MEWP), or any other scaffolding related learning. To help demonstrate our fantastic education and improvement opportunities for our employees, we will shortly be achieving the Investors in People standard.